We are a member congregation of the Wisconsin Evangelical Lutheran Synod. Abiding Love Lutheran Church is physically located at 3205 Chiquita Blvd S. Cape Coral, FL 33914. I grew up in Saginaw, Michigan. When I decided to study for the ministry I headed off to Northwestern College to get my BA. Afterwards I attended Wisconsin Lutheran Seminary to receive my Masters of Divinity in 1999. I met my future wife, Amy, in high school. After dating on and off through college, we were married while I was at the Seminary. God has blessed us with four children. Dan and Josh are presently in college. Ben is in high school. Amy homeschools our youngest, Abby, just as she did our other children. We are no perfect family, but we are richly blessed. I am so thankful that Jesus has been our peace, our forgiveness, and our strength throughout our years together. And, boy, do I love this crew. Outside of church, I love spending time with my family. We often go out on “Sunday Family Fundays” and explore new places in southwest Florida. Swimming, fishing, beaching, and kayaking are all things we enjoy together. I also love to run and usually do a couple half marathons each year. I love watching Dan play football, Josh play piano and guitar, Ben hit the golf ball, and Abby twirl in her gymnastics class. Amy is an artist at heart. When the weather is right, Amy and I also enjoy just sitting with a good cup of coffee on our lanai. Our first church was a new mission in Tallahassee, FL. 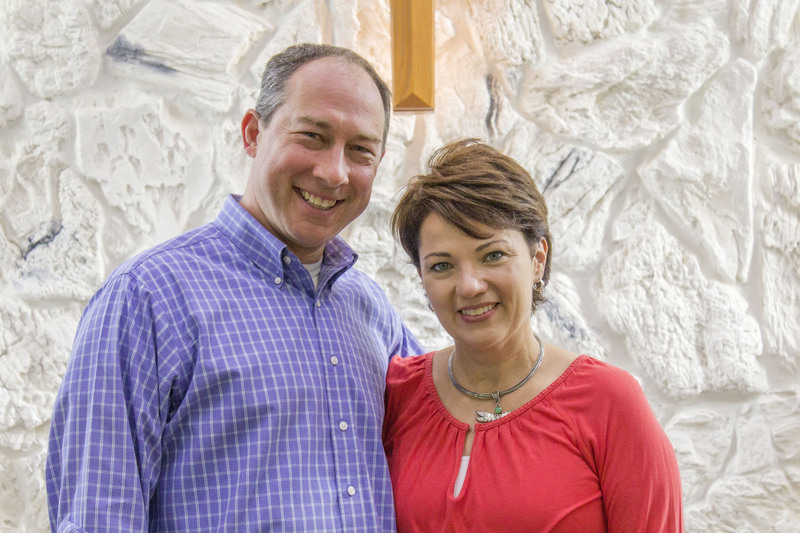 Amy and I served and saw our family grow during eleven years with Faith Lutheran, Tallahassee. For the next seven years, the Lord took us to Spring Hill, TN, south of Nashville, to serve Christ our Savior Lutheran Church. This larger congregation helped me grow personally and allowed me an opportunity to really utilize one of my passions — music. Now in 2017 the Lord presented us the opportunity to move here to Cape Coral and beginning serving as the pastor at Abiding Love. We have found both the region and the church to be a great place to live and serve. Now I would love to hear your story. Come and join us at Abiding Love next Sunday. Or if there is something you need spiritually, give me a call at the church office. It would be a privilege to serve you with God’s Word.